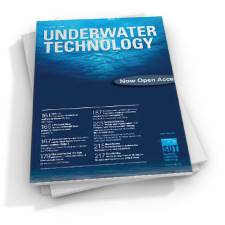 Abstract: During the past decade the majority of underwater tasks in support of the exploration and production of oil and gas have been undertaken either by divers or by sophisticated manned submersible vehicles. For a combination of economic and safety reasons, it has now become desirable to find alternative systems for as many of the tasks as possible. Considerable current interest is focused on unmanned ROVs and the provision of advanced technology to enable these systems to perform tasks to the same standard as divers. Throughout the course of this study it has become increasingly evident that this interest has centred on the development of new forms of remote hardware, such as new imaging systems, manipulators and automatic station–keeping or heading functions. Whilst many of these developments undoubtedly aid ROV operators during the execution of numerous underwater tasks, they have not in general been designed or incorporated into the total system in ways which complement the psychological and physical characteristics of the operational personnel. Human Factors (or ‘ergonomics’) is concerned with the interface between man and machine, whatever level of technology is involved in the system under consideration. Although ROV systems are becoming more complex, it must be accepted that the ROV operator still remains the dominant processor of information in the overall system. Therefore, failure to take account of the abilities and limitations of the human operator will inevitably result in operational difficulties, including increase in fatigue and task errors and a decrease in the efficiency and cost–effectiveness of the overall system. Abstract: What we are Looking For. The new energy philosophy that became one of the hottest issues in the 1970s generated several research programmes in Norway as in other countries. These programmes generally were intended either to save energy or to produce energy. In order to understand the significance of the various programmes, it is helpful to recall the current lines of thought on energy. The traditional industrial view treats energy on a level with other inputs to production. Cost is the all–important consideration, and the time horizon is limited to the return period for the investments made. Mining of raw materials is part of most industrial production, and here energy is no exception. Abstract: The concept of monitoring the health of a structure during its lifetime has been in use and practised by Applied Dynamics Ltd since 1974. The method of ND testing used is known as SHRIMP® and was patented in that year. It consists of the injection of a low level swept frequency signal into the structure at a chosen point and the monitoring of the response at other points, thus establishing a particular signature, or datum mark, to which future signatures can be compared. By use of specialised equipment, the natural environment responses caused by weather and other responses caused by man and machines can be eliminated. A daily or weekly computerised output indicates whether a failure has occurred, where it is located and, in the case of a crack, whether it is propagating or has been arrested. Abstract: Steel jacketed offshore production platforms are constructed of large steel tubes welded together at ‘nodes’. Typically a structure has four or more vertical or near vertical legs linked by many cross–braces which are welded to the legs at nodes, several from the tubes themselves, or prefabricated and welded into the structure. The tubes themselves contain seam welds running the length of the tube. Each platform contains many hundred feet of weldments and there is a requirement that a percentage of these welds be inspected annually. This inspection is carried out underwater at depths up to 200m. Generally there is a restricted weather window during which diving operations can be carried out which, together with the high cost of diving, makes speed of operation an important parameter in any inspection system. − How much suction must be applied to obtain a given flow? − What is the maximum flow that may be obtained? − How much respiratory work is required to breathe from the regulator? − How are these values affected by depth and cylinder pressure? Due to the complexities of gas flow theory, the transient nature of respiratory demands, the inter–dependence of the first and second stage output and the varieties of design it is impossible to predict the total performance of a regulator using steady state flow tests at atmospheric pressure, (although these may suffice for subsequent testing in routine maintenance procedures). The only procedures which can be considered reliable are breathing simulation tests in which regulators are subjected to the actual breathing patterns, working depths and supply pressures experienced in practice. Abstract: This is an engineering view from the President of ECOR for consideration at the IOC meeting held at the Marine Establishment at Villefrance in April 1982. It aims to make two points: (a) the dependence on scientific knowledge of technological developments associated with proper and careful exploitation of the resources of the oceans−energy, mineral and living; (b) the dependence of scientific measurement and data gathering on application of new technology in the oceans. For too long now science of the oceans, and engineering in the oceans, have been regarded separately, each calling in the other at far too late a stage. The requirement is not only that ocean science must be regarded as interdisciplinary (which it already is) or that ocean engineering should be regarded in the same way (as it also already is), but that ocean science and ocean engineering should be seen as two indivisible parts of a single whole. The reasons for this is turn revolve around two factors: (i) the enormous increase in use of the oceans for practical purposes, which are set out in brief below; (ii) the continuing escalation of the costs of working at sea (iii) the continuing escalation of the costs of working at sea. The first of these reasons causes the engineer to read across from one activity to another (from fish ranching to mineral recovery, for example), if he or she is to progress oceanic use at the rate which mankind now seeks to achieve. The second reason is a reflection of the real world, which is progressively reducing the amount of scientific work which can be undertaken. Abstract: The Conference was jointly sponsored by the Coastal Engineering Research Council and the Waterway, Port, Coastal and Ocean Division of the American Society of Civil Engineers, and on the international level by the Engineering Committee on Oceanic Resources (ECOR). It reflects the considerable recent intensification of interest in directional spectra and their application, especially in the fields of coastal engineering, offshore engineering and naval architecture. Sets of ‘Abstracts in Depth’ of all the papers were issued to participants and a limited reserve of these is available for purchase. Full proceedings include a record of the discussions will be issued in due course. A list of the titles and authors of the papers (see Appendix) serves to indicate the range of topics covered. For the purpose of summarising my impressions, it will be convenient to group the papers under a number of main subject headings. Abstract: Remotely operated vehicles (ROVs) are regarded as safe because no human life is put at risk while they are operating. Viewed from the safety of the vehicle itself they have a considerably worse record than manned vehicles and this is amply proved by their relative insurance rates. In the present insurance climate, cover is provided at what many operators consider high rates but if this climate should change insurance might become unobtainable or prohibitively expensive unless the safety record changes for the better. The first remotely operated vehicle to work in the North Sea commercially was an RCV 125 in the Autumn of 1974. Since then they have steadily increased in both number and variety. The RCV series was a civil development of a United States Navy design which dictated its size and shape and several other features. One of these was an inbuilt slight positive buoyancy. This feature was accentuated by salesmen as a good feature in that in the event of the severance of the umbilical the vehicle would float to the surface and be recovered. The RCV 125/225 series has proved itself in the North Sea and consequently other manufacturers have copied the design philosophy and provided positive buoyancy for their vehicles. It is the writer’s opinion that this philosophy should be reconsidered in the light of operating experience. To do this it is necessary to consider not only the vehicle but also what work it does, from where and how it operates. Also, it is necessary to consider the differing requirements of disparate vehicles of which typical extremes are the large Consub 2 and the small Filippo. Abstract: Lawrence Allison Ltd carried out a study for the Department of Energy to examine the problems associated with umbilicals as used by underwater vehicles. The study revealed a number of important although not unexpected findings and a reference of information on umbilicals as applied to underwater vehicles. It is also hoped that its publication by the Department of Energy will acquaint the cable manufacturers and vehicle operators with each others difficulties. A principal recommendation of the report was that the development of a modular data transmission/umbilical system be initiated by the Department of Energy. This paper examines the report’s conclusions, its technical and commercial origins and the practicality of producing a modular data/power umbilical system. As there are numerous underwater vehicles the following observations/findings are not applicable to all operators or umbilical manufacturers. Some vehicle designers are more advanced than others in the development of their respective umbilical design philosophies. The principal findings identified below lead to a recommendation for a more standardised form of umbilical to service the needs of underwater vehicles. Abstract: The specification of practical design criteria for cathodic protection systems (CPS) is, or at least has been, a sorely neglected subject. Notwithstanding the very large number of publications discussing details of cathodic protection that have been released, it is only in recent months that some definitive guidelines on the design of CPS have been released by a recognised certification agency. The purpose of this paper is to highlight the difficulties faced by designers in their efforts to comply with unspecified or ambiguous requirements from Regulatory Bodies. Clearly defined criteria are crucially important to both the Design Contractor and the Owner/Operator of any proposed offshore facility for both certification (safety) and economic considerations. It is necessary to emphasise economic considerations since the scale of production engineering associated with fabrication and offshore installation is not readily appreciated by those unfamiliar with the offshore industry. The magnitude of the undertaking means that any change in design after commencement of fabrication will have enormous cost penalties and impact on the production schedule. 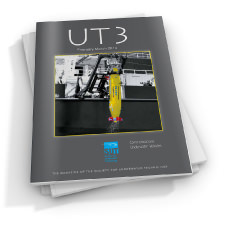 Abstract: Three years ago an SUT meeting held on the subject of underwater visual inspection would only have mustered perhaps an audience of three dozen people. As an indication of how important the use of underwater photography and television has become, over 100 delegates attended the SUT Seminar in Aberdeen. The programme covered the main areas of interest to the offshore industry with particular emphasis on the development of colour television and photogrammetry. The papers were on the whole interesting and some provoked very stimulating discussion. 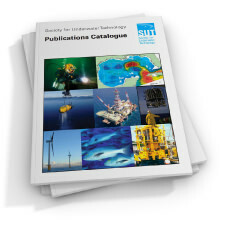 Abstract: As part of the underwater inspection of offshore structures there are both engineering and mandatory requirements for detailed inspection of welded joints, in particular those which are highly stressed or have a low fatigue life. The purpose of these inspections is to detect any joint failures and developing fatigue cracks. The growth of fatigue cracks is time dependent and it is desirable to detect these cracks at an early stage before there is a high probability of joint failure. Currently, visual and magnetic particle inspection (MPI) methods, deployed by divers, are regarded as the most reliable methods for detecting fatigue cracks in welds on underwater structures. However, both methods require an extensive amount of diving time for cleaning and preparation of welds for inspection and also a high level of subjective interpretation by the diver. As a result of the latter there is the necessity to use divers who have undergone recognised training and examination in relevant inspection techniques. 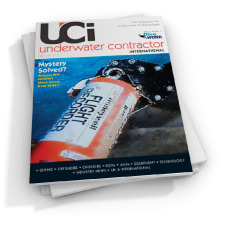 It is only recently, however, with the introduction of the CSWIP 3.1D−Diver Inspector qualification (March 1980) that training and examination standards specifically related to underwater inspection techniques have become available. Further, relevant British Standards (BS6072 and BSM35) relating to magnetic particle inspection procedures have primarily been produced for inspections carried out under workshop conditions. However, there is evidence to suggest from tests on flat plates with artificial defects that if these standards are rigorously applied then MPI will work as well underwater as above water (Ref 1). Abstract: The thermal protection of divers is of considerable importance in ensuring their safety and comfort under the adverse conditions in which they work. Recently divers have had to undertake deeper and longer excursions and many of the deficiencies in the present heating and insulating systems have become apparent. Recent work has indicated that substantial improvement may be made in passive protection systems; these have the advantage of reducing, or event eliminating, the dependence of the diver on external energy supplies for his thermal life support system. Passive systems are also attractive because they have no moving parts, are fail safe and are relatively simple to develop and construct. The majority of heat lost of the diver follows one of two routes, the relative magnitudes of which vary considerably with depth. The first route is through the underclothing to the cold surface of the diving suit: suit surface losses increase slowly with increasing depth. The second route is through the respired gases, which are inhaled cold and exhaled warm; respiratory losses increase roughly in proportion to ambient pressure. This paper is concerned with the reduction of respiratory losses by the use of a passive heat exchanger. Abstract: Magnetic particle inspection (MPI) is, next to visual examination, the most widely used non–destructive testing technique underwater. Unfortunately, it is also true to say that it is the most abused. The principles involved in MPI of any ferro–magnetic material are simple and straightforward and it is this basic simplicity which has led people to regard MPI as the ‘least scientific’ of the basic inspection techniques. New recruits into the NDT industry have been ‘taught’ MPI as their first NDT technique and unfortunately, the teaching was usually superficial and sometimes completely inaccurate. This has, in the past, resulted in MPI being regarded at best with suspicion and at worst with downright mistrust. 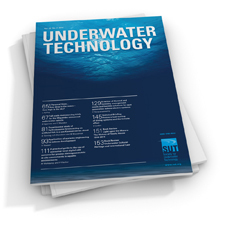 In this paper, I hope to prove that MPI has a place in the arsenal of NDT techniques available for use underwater and that it is capable of being used in a sound, reliable and accurate way. Abstract: Diver Heating. In sea water temperatures down to 0°C the core temperature of the working diver has to be maintained at around 37°C if useful work is to be accomplished. To achieve a thermal balance the heat replacement required is made up of respiratory heat loss plus body surface heat loss, less metabolic heat generated by physical activity. Levels of respiratory heat loss, diving suit loss and metabolic heat generation vary with circumstances, and estimates have been prepared by a number of authors. Average external heat replacement requirement is around 1500 W achieved using a sea–water flow rate of 0.0375 kg/s, through a closed circuit hot water tube suit, delivery temperature at the diver being 43°C. Abstract: Many parameters in oceanographic measurement vary irregularly, both with depth and location and over periods of time. As a result, sort time–series or single point measurements of temperature, conductivity, current speed and direction, salinity, oxygen content, and so on, tell us rather little about the dynamics of individual deepwater physical processes. In addition, these quantities often interact in only partially understood ways. Oceanographers are therefore now interested in obtaining very long time–series of measurements (weeks or months, rather than hours or days), from a number of neighbouring locations. These will provide a better understanding of the temporal and spatial relationships of oceanographic parameters and will help them to narrow the gap between their models of dynamic systems and a true understanding of what is really going on in the ocean. Abstract: This paper is intended to present an objective overview of manned and unmanned vehicle comparison, avoiding becoming too involved with subjective specification comparison. Indeed, detailed technical comparison has been the subject of past paper presentations for some time. It was felt, therefore, that comparing manned and unmanned vehicles under the umbrella of a client’s choice of contract, would serve as best value to the reader. In addition, particular vehicles are not specified by name as, in most instances, it will be evident to the reader from the particular categorisation mentioned which vehicles are being referred to. (i) Hand–eye co–ordination (spatial awareness) factor (ii) Power (iii) Manipulator and articulated arm dexterity (iv) Safety (v) Logistics and operator capability. Abstract: The manufacture of reliable oceanographic instrumentation requires a virtually perfect blend of electronic and mechanical engineering techniques. The practical problems involved in producing a satisfactory device capable of withstanding one of the worst environments possible, are may–fold and in this paper we indicate a number of those problem areas and offer a selection of, what we hope to be, useful advice. We have intentionally not been over–specific on any one subject and have only attempted by our comments to initiate further discussion. the problems discussed do not relate to one particular device and although surface instrumentation is usually referred to, the text also concerns sub–surface devices. In addition, the emphasis is towards the problems likely to be experienced in the commercial production of instrumentation as opposed to the one–off prototype. Abstract: The Bahama islands are a low and widely spread group lying between Florida on the American mainland and the Caribbean island of Cuba. Seldom reaching more than 30m above sea–level, they are the exposed tips of the Great and Little Bahama Banks, large submarine plateaux which lie just beneath the surface of the sea at an average depth of 5–20m. The banks are composed of ‘oolitic’ limestone, a rock formed in shallow lagoons by the precipitation of lime from solution. Constant agitation by gentle currents rolls the lime particles around, forming them into tiny spheres, or ‘oolites’, before consolidating them into rock. Abstract: The subject of this paper is Underwater Communications. Communication underwater or otherwise is a high emotive topic. When a system functions as it ought, there is no comment; when it does not (which can be depressingly frequent) it is cursed roundly, and the origins and parentage of the equipment called into question−consider the telephone system as an obvious example. When underwater communications go wrong the situation can (as has been demonstrated tragically in the past) turn a normally safe operation into a hazardous one or, by the careless use of the spoken word, increase significantly the cost of the operation. Abstract: The prevention of external splash zone corrosion on hot risers has required application of special protection techniques. A number of improperly protected hot risers have suffered an unexpected high corrosion rate during initial operations in the North Sea. Once incident led to a riser rupture, fire and loss of lives. On a hit riser, heat fluxes and increased external steel surface temperature may increase the corrosion rate by a factory of ten compared to the corrosion rate on unheated steel. Especially in the tidal and splash zone, failures in the protection systems will give sever consequences. (ii) to examine the heatflux and external temperature behaviour of coatings and bare metal under the same exposure conditions.